My Holiday Photos. 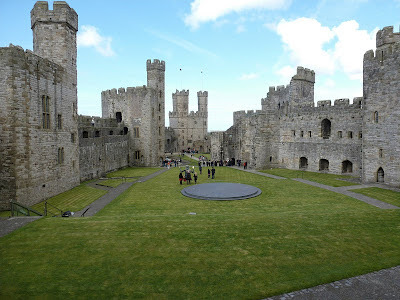 : British Isles Cruise 2012, N. Wales Pt.1. British Isles Cruise 2012, N. Wales Pt.1. First port of call was Guernsey which was a tender port. The sea was rough so we had to miss it and instead carried on towards Holyhead on Anglesey. 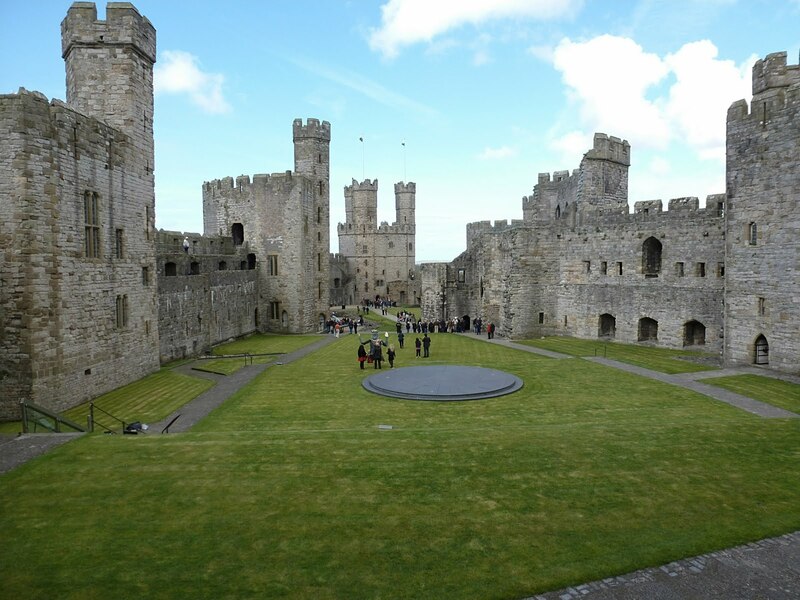 We took a tour from Anglesey to Carnaervon and Conwy castles, Snowdonia and some of the towns. Statue of Lloyd George in Carnaervon. The "Ugly House" at Capel Curig. During the 15th and 16th century Snowdonia was wild, lawless and sparsely populated. The crude houses with turf roofs and earthen floors provided little more than basic shelter for the inhabitants. According to legend "Ty Hyll", the "Ugly House", was built in 1475 by two outlaw brothers. It was a "Ty Un Nos" or "House of the Night". It was said that he who could build a rough house overnight and have smoke coming from the chimney by dawn could claim the land freehold. The boundary of his little estate could be further extended by the distance that he could throw his axe from the four corners of his new dwelling. A lonely secluded spot would be chosen, all materials assembled, friends summoned to help and at sunset the work commenced. It is suspected that some poetic licence was allowed and it was sufficient if the walls were roughly built and smoke was coming out of a hastily improvised chimney. Snowdonia National Park looks a lot like some scenery we saw in Alaska....especially the winding streams.